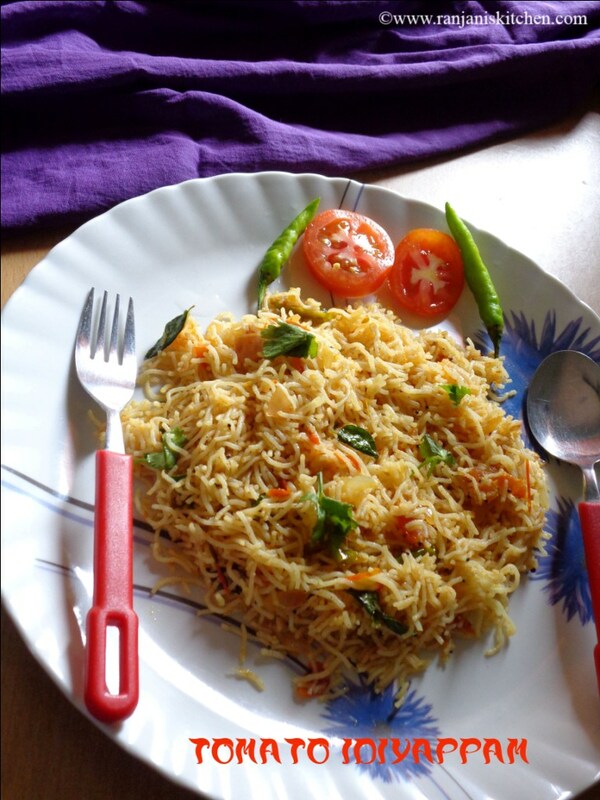 Tomato Idiyappam – a tangy and spicy breakfast which goes perfect with any kind of raita’s. Bored with normal idiyappam?? 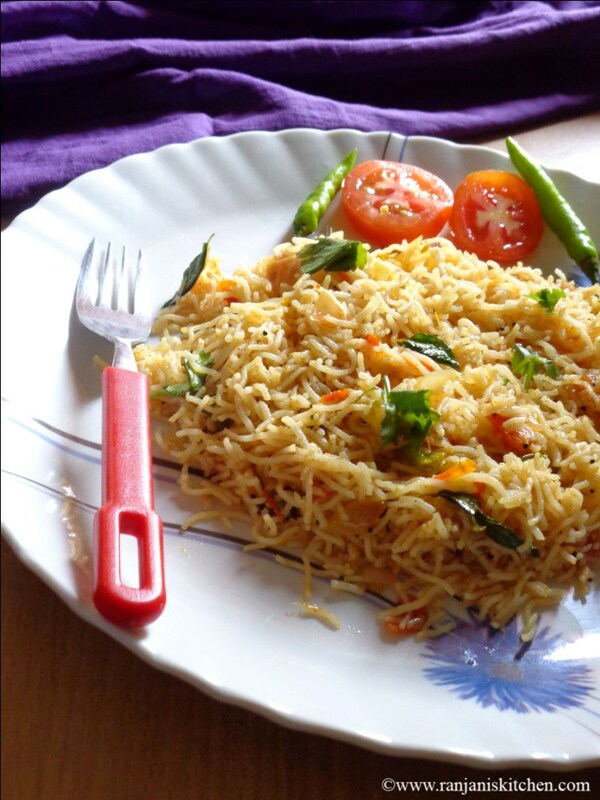 Just go with this tomato idiyappam. I really loved this texture and tanginess taste. Friends lets try and write your feedback. Sieve the rice flour well, mix with salt and keep aside. Heat water to a rolling boil, add it little by little to the flour and mix well with a ladle. Make it as soft dough. Then part it as small ball to fill in idiyappam achu. Use the small hole ones in achu. Fill it and press in idly plates covered with wet white cloth. 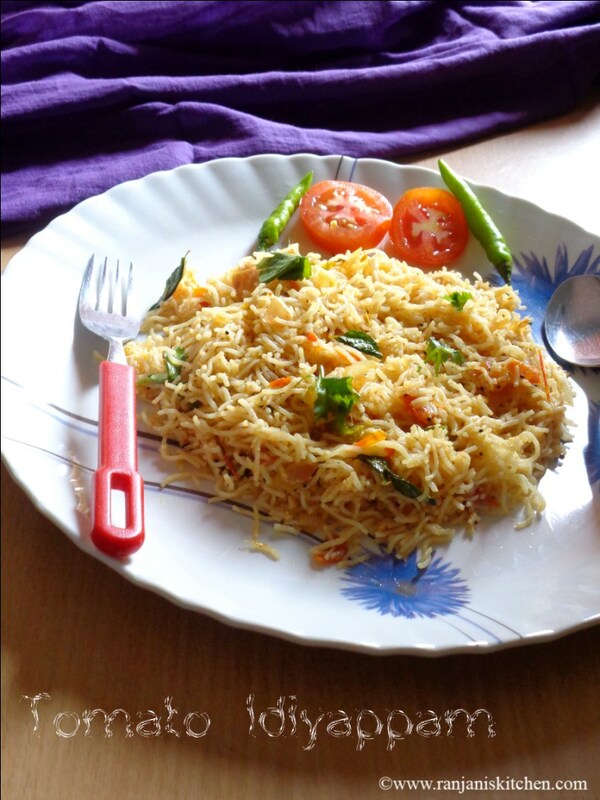 Press in circular motion to form idiyappam and steam cook for 5 to 6 mins. Heat a wok, add oil in it. Once it gets heated, add chopped onions, green chillies, and curry leaves. Sauté well till the onion turns transparent. Then add ginger garlic paste, stir well until the raw smell leaves. 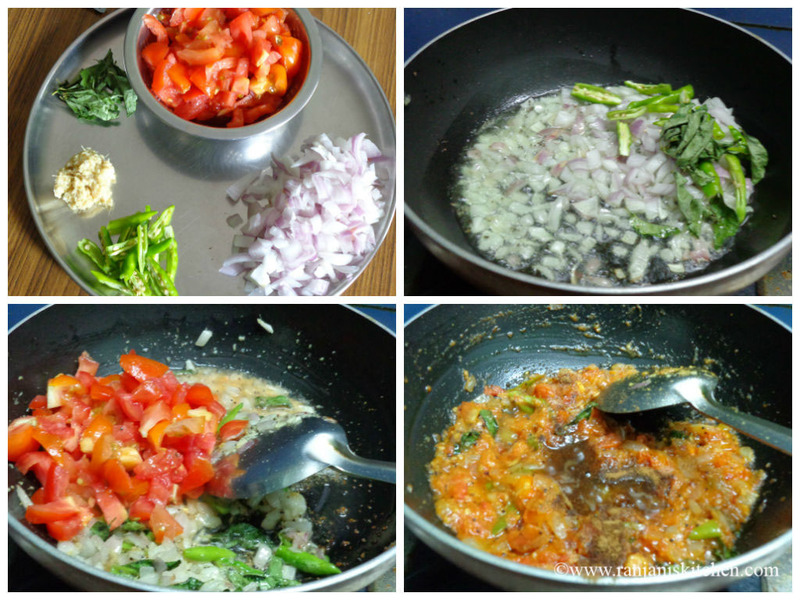 Now add the chopped tomatoes and sprinkle some salt over it to cook faster. Stir till the tomatoes become mushy and reaches the pickle consistency. Then add red chilli powder, coriander powder, and garam masala and little salt. Stir in medium or low flame for 4 mins and turn off the flame. 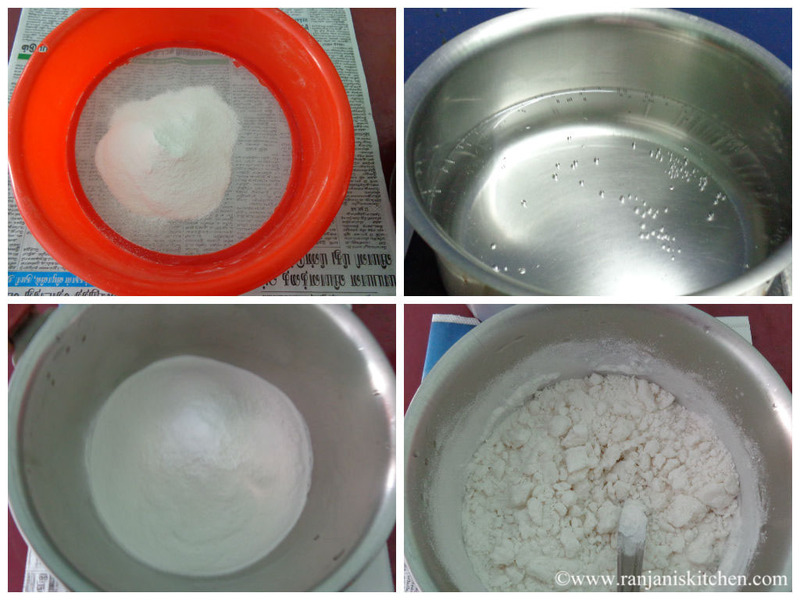 Adjust the salt level, because we add salt in idiyappam also. So conscious while adding salt in tomato mix. 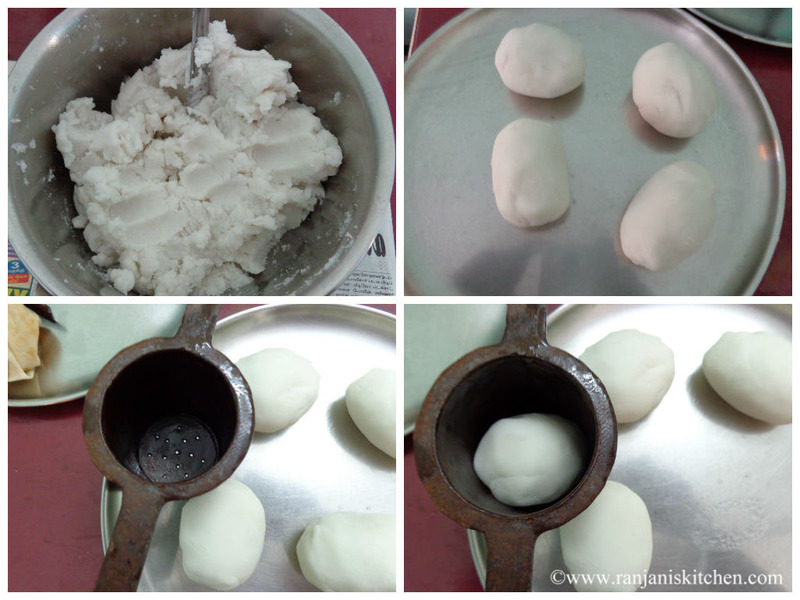 While making idiyappam dough, add rolling boiled water to get good consistency. Also don’t add too much of water it will become sticky. Add little by little to make proper dough. I didn’t add turmeric powder. If you want you can add while adding spice powders.